Home / Editor's Choice, Entertainment News, Forum and discussion, Lifestyle, Photos / SHOCKING! Thugs storm police station in Nandi, steal 3 rifles and bullets as officers watched Barcelona v Man United clash. SHOCKING! Thugs storm police station in Nandi, steal 3 rifles and bullets as officers watched Barcelona v Man United clash. 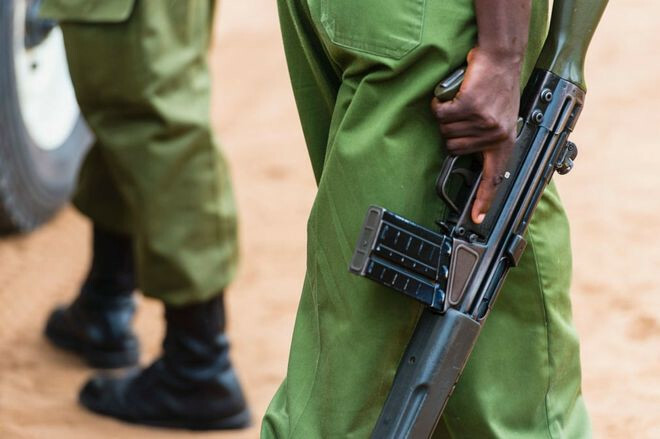 Wednesday, April 17, 2019- Daring thugs stormed Kamorwon Administration Police post in Nandi County on Tuesday night as officers in charge had gone to watch the Champions League clash pitting Barcelona and Manchester United. The ballsy thugs made away with three rifles and several rounds of ammunition. Confirming the incident, Corporal Rodgers Masiwa said: “On entering the house, we found the steel box which contained the guns and ammunition and broken into. At the time of the incident, the there was no police officer in the station and they only noticed the weapons were missing when they returned from watching the mouth-watering football match. Investigations into the matter have begun.